Obituary for Mabel V Dunn | Carter Funeral Homes, Inc.
Mabel V. Dunn, 73, of Oberlin, got her wings on Tuesday, November 27, 2018 in the Fairview Hospital, following a long illness. She was born in Okolona, Mississippi, coming to Oberlin 60 years ago. Mrs. Dunn was employed as a PC Board Operator for Gilford Industries of Oberlin. She enjoyed home renovations, fishing and cooking, canning, baking and spending time with family and friends. 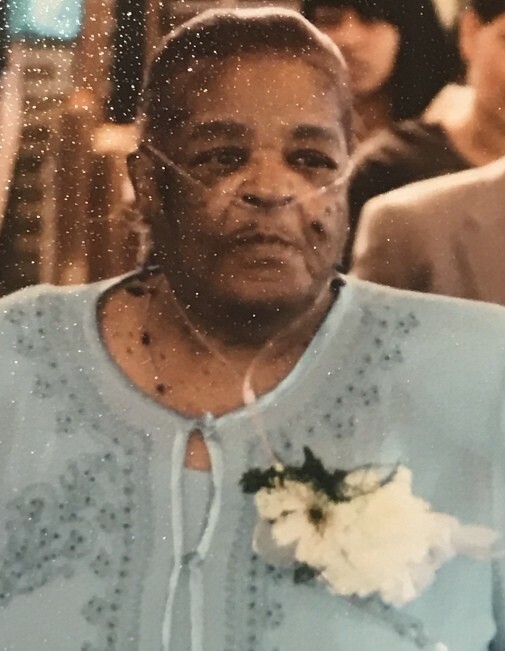 She will be sadly missed by her husband of 56 years, Olin Dunn; daughters, Barbara Tumblin and Carol Dunn, both of Elyria; eight grandchildren; 11 great-grandchildren; two great-great-grandchildren; host of relatives; nephews and nieces. She was preceded in death by her parents, James and Christine Dunn; son, O'Neil(Gramps) Dunn; brothers, James A. Gunn, Jr. and Joseph Gunn and sisters, Anna Bell Fields, Pearl Hughes. Friends may call Wednesday, December 5, 2018 in the Carter Funeral Home Chapel, 127 West Bridge Street, Elyria from 4 until time of service at 6 P.M.